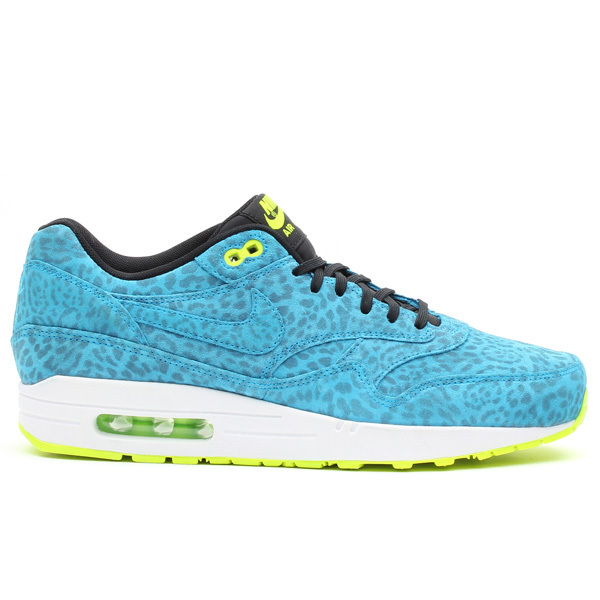 Another look at the unique leopard print Air Max 1 FB in Current Blue / Current Blue / Black / Volt. New images of the Nike Air Max 1 FB "Leopard" have surfaced online, providing a better look at the unique leopard print sneaker. 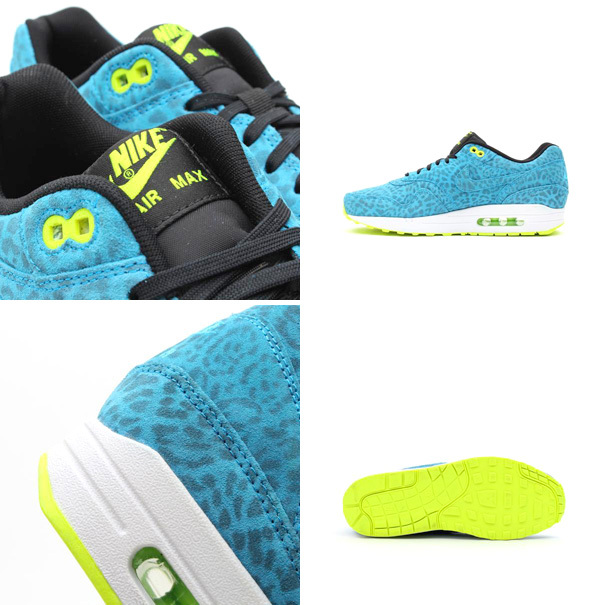 Seen here in Current Blue / Current Blue / Black / Volt, the AM1 FB "Leopard" features an all suede upper covered in a distinctive leopard print graphic. A traditional white Air Max 1 midsole sits in between the blue upper and volt outsole, offering simple and effective contrast. 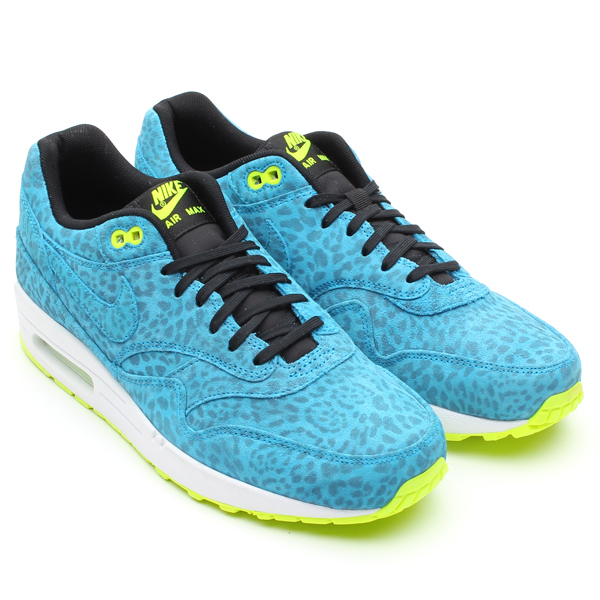 The Nike Air Max 1 FB "Leopard" in Current Blue drops this August at select Nike Sportswear accounts, and is available for pre-order now at atmos Tokyo.